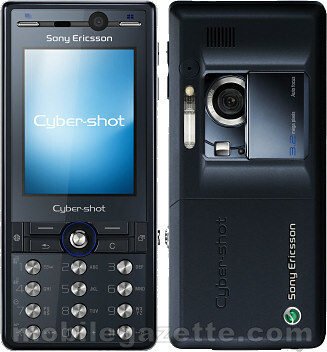 Cyber-shot camera phone, the Sony Ericson K800i now has had a facelift and the new model is now called the K810i. This new K810i has inherited most of the features of the K800i: a 3.2-megapixel digital camera with autofocus function, a Xenon flash, multishoot capabilities, 3G network support, a gorgeous 262 144-colour, 240 x 320 pixel LCD, etc. The main differences are cosmetic, with a redesigned and funky-looking keypad with round buttons instead of rectangular and slightly more compact dimensions compared to the K800i.